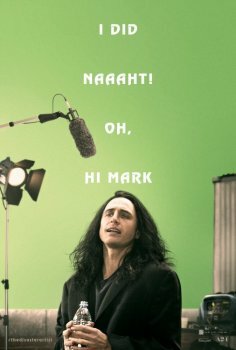 The Disaster Artist - Available as a download or stream? The movie is based on a true show business success story of Tom Bissell and Greg Sestero. The story will focus on the chaotic production of the infamous movie The Room. James Franco will be playing the lead role as the director of the movie, Tom Wiseau. The movie will show how much Tommy Wiseau went to make The Room. It is set to release on 1st December. The last screener of 2017, enjoy! "had few laughs in background since its comedy movie but its clean, loud and without any weird noises. End credits are removed." James Franco's movie has received rave reviews, gathering an impressive 95% score on Rotten Tomatoes. So far, only The AV club has given the movie a poor review, saying it's barely a movie. This is good news as the movie is heading towards Oscar Season. Gotta admit I’m not really a movie person, but I’m incredibly excited to see this thing! Let’s go!